hd00:09MOSCOW, RUSSIA - DECEMBER 31, 2015: New year's night, walk along brightly decorated city center. 4k00:07PATTAYA, THAILAND – MARCH, 10, 2019: One band is giving a little concert in a bar. Live music in a bar in the Walking Street. 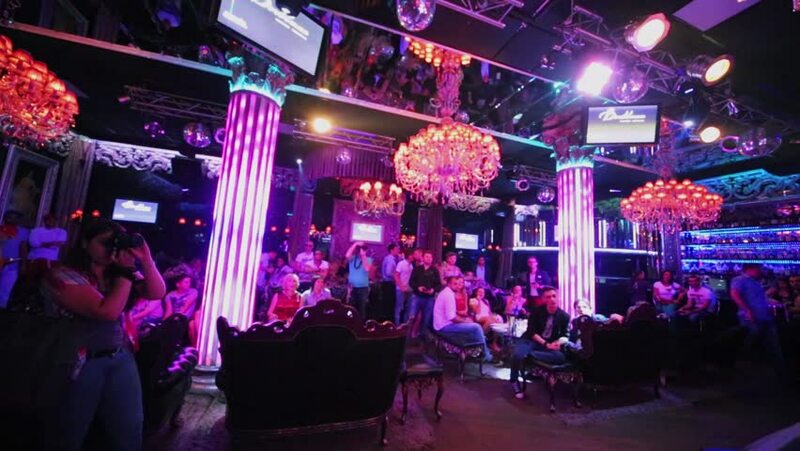 hd00:10MOSCOW, RUSSIA - OCTOBER 14, 2015: travel through interior of modern Extra Lounge Moscow nightclub.